LEED Green Associate Certification or LEED Green Associate Credential? Getting started in green building certification is easy. Let us show you everything you need to know about LEED. Tier I – LEED Green Associate, also recognized as LEED Green Assoc. 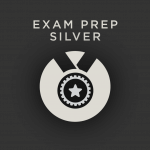 Note: Passing the LEED Green Associate exam is a prerequisite to taking the LEED AP with Specialty exams. Becoming LEED accredited starts with learning green building fundamentals, and earns you a credential designation after successfully passing the 100-question LEED Green Associate exam administered by the Green Business Certification Inc. (GBCI). This credential confirms that you understand integrated project delivery and can make meaningful contributions to a LEED project team. The LEED Green Associate is ideal for students and professionals who need basic awareness of LEED principles and practices. Do you manage or maintain a LEED certified building? Consider becoming a LEED Green associate to help you excel in your work. All LEED exams consist of 100 multiple-choice questions and last 2 hours. The computer-based exams are administered at Prometric Testing Centers around the world. Get started by downloading the Candidate Handbook which is a guide to the LEED Green Associate exam. Create a free USGBC (www.usgbc.org) account, or log in if you already have an account. 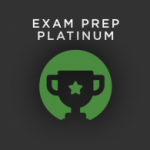 Then, inside the credentials section of your account, select the LEED Green Associate exam and follow the instructions to register and pay for the exam. Record your eligibility ID to use when scheduling your exam. Once registered, you will have one year to schedule the exam date and time. Next, visit the Prometric website to schedule your LEED Green Associate exam. Use the Eligibility ID to confirm your registration. Record your confirmation number! Prometric does allow some options for cancellation or rescheduling (no charge to cancel or reschedule an exam 13 or more business days before your exam date, $50 fee for reschedules between 3 and 12 business days, and no rescheduling within 3 days of your exam date). You will need the confirmation number to make any changes to your LEED exam schedule. *Did You Know? Veterans of the U.S. Military are eligible for 100% reimbursement of the LEED exam fee through a Veterans Administration program. Read our blog post. LEED green building certification is third-party verified against the reference standard. A certificate and plaque is awarded at four levels of achievement: LEED Certified, LEED Silver, LEED Gold, and LEED Platinum. LEED certification has grown exponentially with the green building movement. 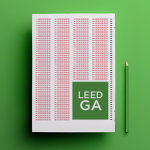 Since it’s establishment in 2001, USGBC evolved the original LEED reference guide (BD+C) into a family of rating systems (NC, CI, EB) that address specific building use types. Today, multiple LEED rating systems establish specific framework and performance metrics by building type. Building Design and Construction reference guide applies to whole buildings that are being newly constructed or going through a major renovation. Rating Systems include: New Construction, Core & Shell, Schools, Retail, Hospitality, Data Centers, Warehouses & Distribution Centers, and Healthcare. Interior Design and Construction applies to partial-building projects that are exclusive to interiors. Rating systems include Commercial Interiors, Retail and Hospitality. Operations and Maintenance applies to existing whole buildings that want to be recognized for policies and performance. Rating Systems include: Existing Buildings, Schools, Retail, Hospitality, Data Centers, and Warehouses & Distribution Centers. Applies to new land development projects or redevelopment projects containing residential uses, nonresidential uses, or a mix. Projects can be at any stage of the development process, from conceptual planning to construction; includes Plan and Built Project. Applies to single family homes, low-rise multi-family (one to three stories), or mid-rise multi-family (four to six stories); includes Homes and Multifamily Lowrise and Multifamily Midrise. 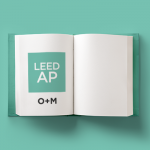 Becoming a LEED AP with specialty requires the LEED Green Associate credential. You can take both exams back to back in one day. However, most people will study for one at a time because the knowledge base is extensive for a LEED AP. Suits professionals actively working in the design and construction phases of green buildings. Perfect for Architects, Engineers, Construction Superintendents, HVAC designers and installers, and specialty consultants. Serves participants in the design, construction and improvement of commercial interiors and tenant spaces like interior designers, lighting and furniture designers, HVAC technicians, and leasing managers supporting new tenant move-in. Distinguishes professionals implementing sustainable practices to improve performance and efficiency while reducing environmental impact in existing buildings. Ideal for asset managers, property managers, facility managers, service vendors, and specialty consultants. Applies to individuals participating in the planning, design and development of walkable, neighborhoods and communities. Design, finance, civic, and policy influencers will benefit from this credential. All LEED professionals are required to maintain their credential through ongoing continuing education. Each credential renews on a two-year cycle, with the start date the same as the date you pass your exam. The expiration date of your credential is two years minus one day from the start date. The LEED Credential Maintenance Program (CMP) requires LEED Green Associates to earn 15 hours of unique continuing education in each credential period. Of the 15 total hours, 3 of the hours must be LEED specific. 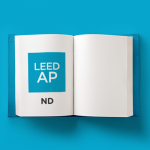 Maintaining your LEED AP with specialty requires that you earn 30 hours of continuing education, including 6 LEED specific. Adding a LEED credential to your name is a feather in your cap. It advances your career and opens doors to a greener future. 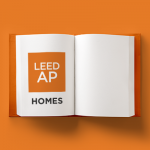 The world needs more LEED Green Associates and LEED APs to help certify ALL buildings around the globe. I hope you will join us for this important mission.